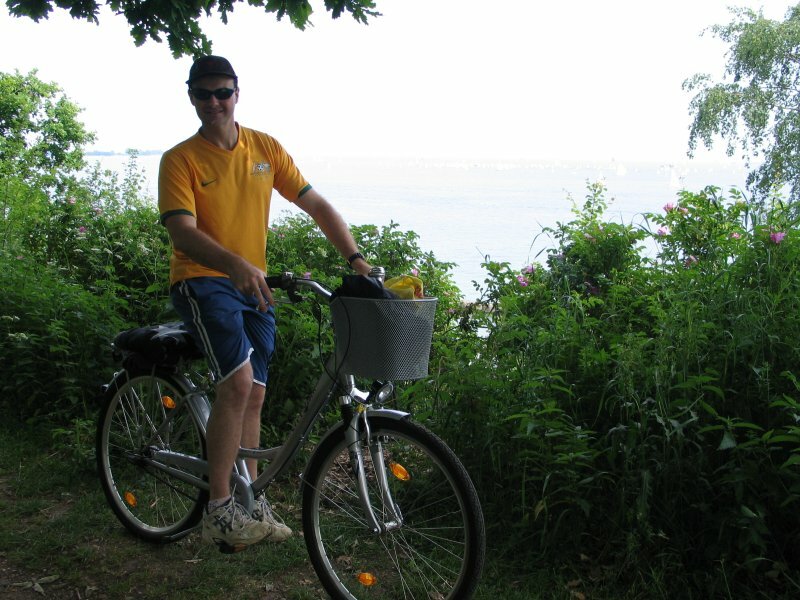 In previous posts I have briefly mentioned the popularity of riding a bike here in Kiel. You can pretty much go anywhere in Kiel on a bike. 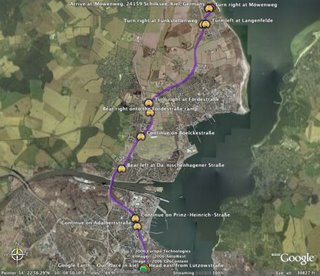 There are paths everywhere, connecting you to shops, pubs, super markets, night clubs, and beaches. Britty and myself are now using the bikes as much as we can, not only for exercise, but to help us save money on driving around town. Petrol here is very expensive, and when you are living on a tight budget, every little bit helps. In previous weeks the weather in Northern Germany has also improved, so to make the most of it, we have taken a liking to riding to the beach. If you drive to the beach, you usually get caught in heaps of traffic, and then when you finally get there you usually struggle to find a car park. On the bike we just ride past all the cars stuck in traffic, and there are no dramas parking! The picture below is a map of our favorite route to the beach. It takes us about 40 minutes to ride there, and about 35 minutes on the way back. It is somewhere around 11kms. 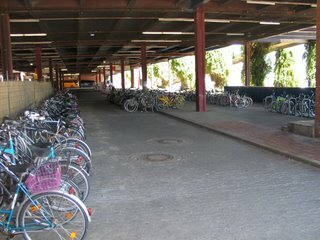 I have also taken some other photos around town to give everyone an idea on how popular bikes just are. Check them out. 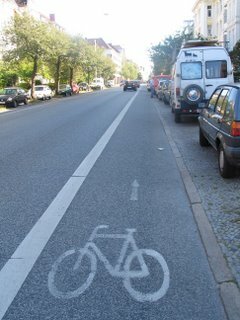 A bike lane on the main street that leads to our house. 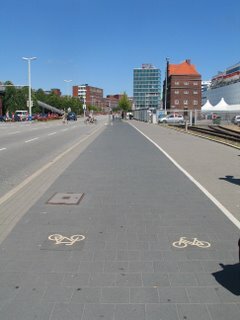 These type of lanes are everywhere, when the street is wide enough. These type of bike lanes are right next to the footpath, and are usually on streets that are not as wide. They are very nicely done, fully paved, and usually on both sides of the road. This path is for bikes traveling in both direction (pictures indicate this). 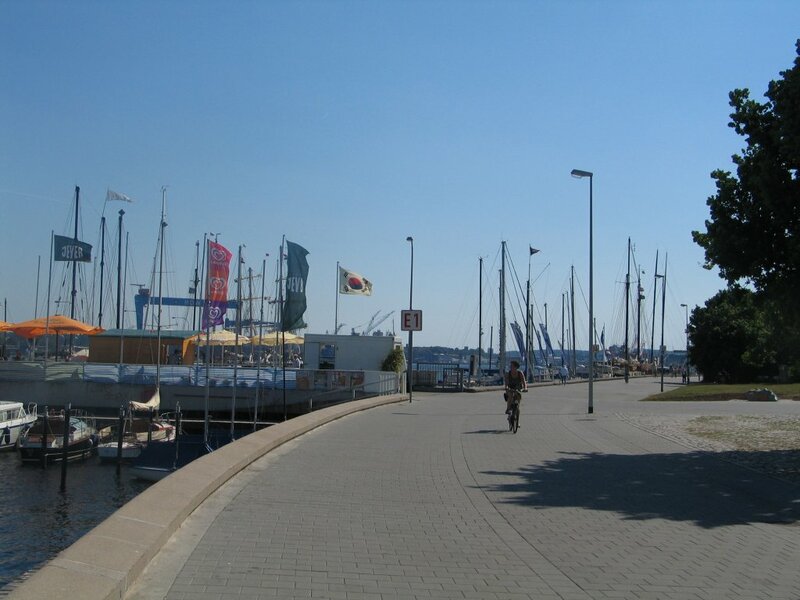 Bike path at the water front. Similar to Wynnum or Redcliff. These little bike traffic lights are such a cool thing. I have never seen them in Australia before. You may ask “what is the point?” They do actually change at different times to the red man. 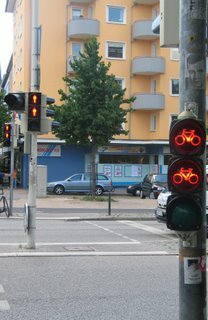 They give bikes longer to cross the road. It doesn’t get any greener!! 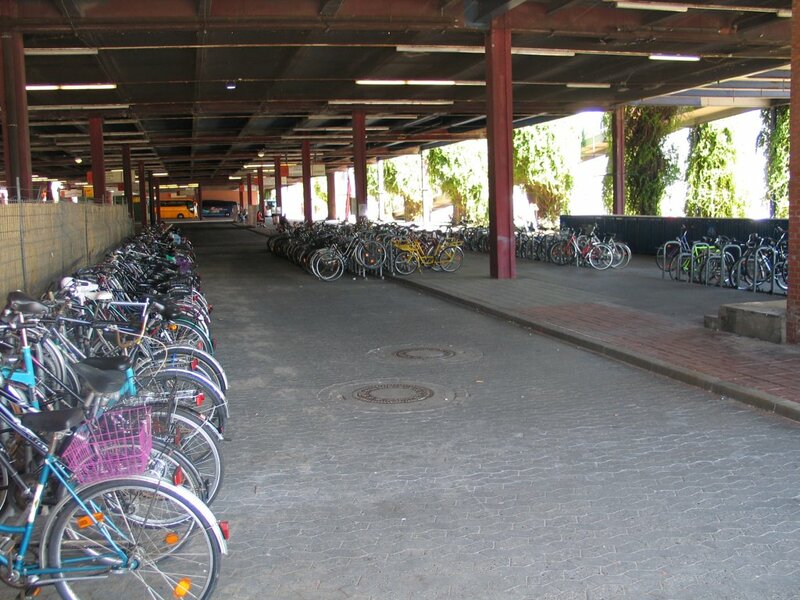 This was taken at the central bus station. Lots of bikes. In the past I was riding the “Wizard of OZ Bike”. 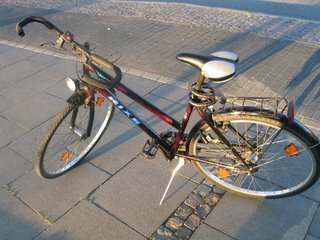 This is the one I am riding now. 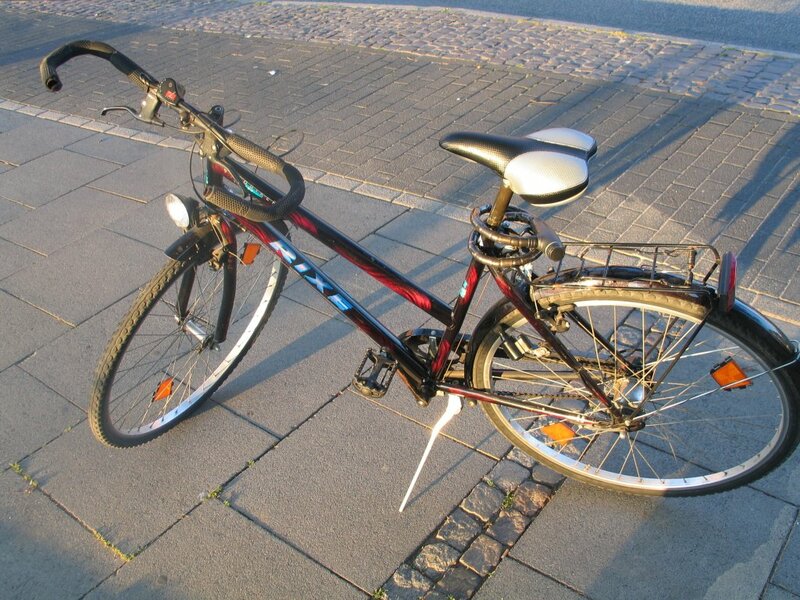 It is still a girl bike! But far less girly! 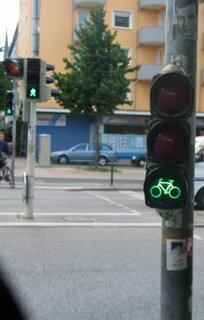 Most travellers are fascinated with the different style of traffic lights. I particularly liked the count down timers they use in South-East Asia. Yeh the traffic light thing is cool. In london before the lights change to green it lights up both red and orange so everyone knows its going to change. Also had a question for ya Scott. Do you manually resize your pics before uploading or is that the default size for your camera?? I just used Picasa to upload some but it makes them like 640 res. 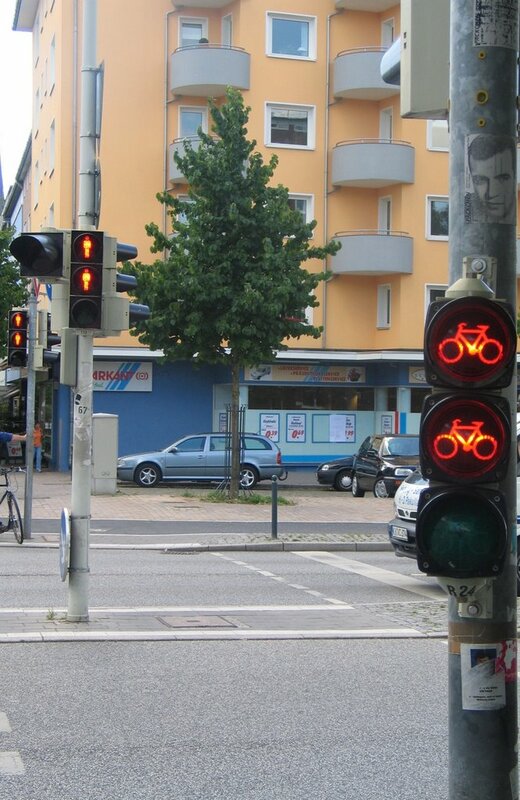 Yeah same thing happens here with the traffic lights. I haven’t had a chance to write about that yet. Yeah I manually resize them to 1280 x 1024. If I use the default config it just takes too long to upload my photos. I have a very fast ADSL service, but it still takes blogger a long time.